Trever is a commercial pilot with over 1,700 hours of flight time as well as the owner and general manager of Inflight. He has numerous hours of mountain flying experience and a serious passion for teaching. In just 2 years he earned his Gold Seal Flight Instructor at the age of 22 and became a flight school owner at 23 years old. Entrepreneurs are a special kind of business person with a very unique set of skills. They are often self-motivated, driven to try out new ventures and new ways of doing things, and are able to take setbacks in stride. Perhaps most important are their persistence and creative problem-solving skills. The truth is that many of these traits are also found in excellent pilots. Here’s why the skills you might have developed as entrepreneurs will translate well in the skies. Resilience is the virtue that enables entrepreneurs to move through the ups and downs of starting, running and maintaining a business – and become better at what you do. It’s impossible to avoid hardships in business, just as it is as a pilot. Yet from these hardships can come great experience that enables pilots to have the wisdom, courage and strength to continue on to your destination. When you operate a business, there are a number of things that can’t be predicted – from closing sales to employee performance to product malfunctions – you’re faced with uncertainty every day. If you’re comfortable and level headed in almost any given situation, becoming a pilot may be right for you. Such unpredictable things as weather, turbulence, instrument malfunction and more can affect your flight. Being comfortable and calm in these situations of uncertainty is key to being a great pilot. Before flying a new aircraft, pilots must learn everything about it down to the nuts and bolts — hydraulic systems, electrical systems, transmissions, and more. An entrepreneur is undoubtedly used to this feeling – after all, building a business from the ground up is no easy task! The better you are at understanding and operating the machine, the better pilot you’ll become. Just as building a business doesn’t happen overnight, neither does learning how to fly. The entrepreneur who is trying to obtain a pilot’s license knows the importance of a long-term investment. The ability to make effective and efficient business decisions, even in the face of insufficient information, is a skill of any successful entrepreneur. The same can be said for those piloting an aircraft. In the skies, you’ll be faced with many decisions, some of which you’ll have to make almost instantaneously. It helps to be able to solve problems quickly to avoid any troubling incidents. There will be numerous demanding moments and days in the journey as an entrepreneur. The crazier things get, the more important it is to stay calm and cool. This is perfect preparation for flying a plane. After all, you don’t want to get up in the air and start panicking when an alarm goes off. A cool, clear-headed approach will make you a much more successful pilot. Any good entrepreneur knows the value of collaboration. A strong team player who is able to put aside a personal agenda to ensure the overall success of the business will go much further than someone who has decided to go it alone. When it comes to flying, collaboration is key to being successful. Whether you’re working with the co-pilot, flight crew, passengers or fixed-based operators (FBOs), a pilot that has good collaboration skills will be much more likely to be successful. If entrepreneurs aren’t quick on the uptake and reactive, you can miss out on big leads, high-money deals or outstanding marketing opportunities. Similarly, great pilots are reactive in any situation, as well. This translates into fewer problems in the air and a safer flight overall. Throughout your entrepreneurial career, you’ve likely had to sharpen your networking skills to bring in more business, find employees, gain resources, raise money, and more. As a pilot, networking is a great way to increase your knowledge and skills in the world of flying. Whether it’s attending pilot meetups, fly-in events or just spending time at the hangar, networking can go a long way in helping you become a better pilot. As a business owner, you don’t have to excel at everything, but it helps if you understand what your strengths are and where your weaknesses lie. Having a clear grasp on this lets you make the best decisions for your business. Great pilots also have this skill, and it helps them focus specifically on what needs to be improved. Entrepreneurs live to achieve certain goals, to make things happen for themselves, so they can look back and say, “I did that” or “I was a part of that.” Well, there’s no better feeling of accomplishment than learning your first take-off from an airstrip or your first solo flight. 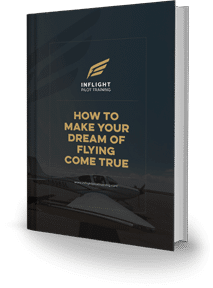 Throughout your training to become a pilot, you’ll be checking things off your list and getting that same feeling of achievement you do as an entrepreneur. No matter how well you know your industry, change is happening constantly – as an entrepreneur, you need to be on top of the nuances that make your business tick. This means asking for advice from those more knowledgeable than yourself. In a similar vein, pilots that don’t ask for advice develop blind spots or become uncertain about how to proceed in their education. On the other hand, pilots that do ask for advice from certified flight instructors, mechanics or other pilots are much more likely to thrive in aviation. The ability to think on your feet is incredibly important as both an entrepreneur and pilot. You’ve likely been doing this since day one of your entrepreneurial career, and the desire to create a unique solution to a problem may have even inspired you to start your business.The ability to creatively solve problems will come in handy in the air. Whether it’s navigating an oncoming weather front, dealing with delays at the hangar, or any number of logistic problems, being a thoughtful and strategic problem solver will come in handy in the air. Few types of people possess the courage needed for both entrepreneurship and piloting an aircraft. It can take a lot of guts to start a business from the ground up – you’ve likely taken risks that might make others squirm. But you’ve likely come out on top. If you’re one of those people, you’re well-suited to take to the skies! Overall, it takes hard work and disciplined dedication to become a great entrepreneur and pilot. You know being an entrepreneur takes a lot of grit and determination. Often, pilots can face these same challenges. The more effort you put into your lifestyle, the better outcome you’ll achieve! If you’ve got the drive and dedication to give it your all, consider getting your pilot’s license. Are you interested in learning how to fly? Get in touch with Inflight Pilot Training today! Inflight is a leading pilot training company serving the Twin Cities and surrounding areas. 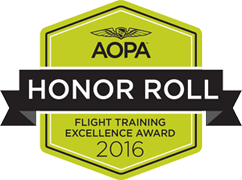 With a reputable training program and extensive roster of highly skilled, certified flight instructors, it’s our goal to help you achieve the certification you want. From private pilot certificates to airline transport pilot certificates and everything in between, we can help you reach your goals – get in touch with our team of flight instructors to find out more. For additional information on Inflight training programs, contact us today or call (952) 698-3000. What are you waiting for? Take the next step today! Copyright © 2015-2018 Inflight Pilot Training. All rights reserved.